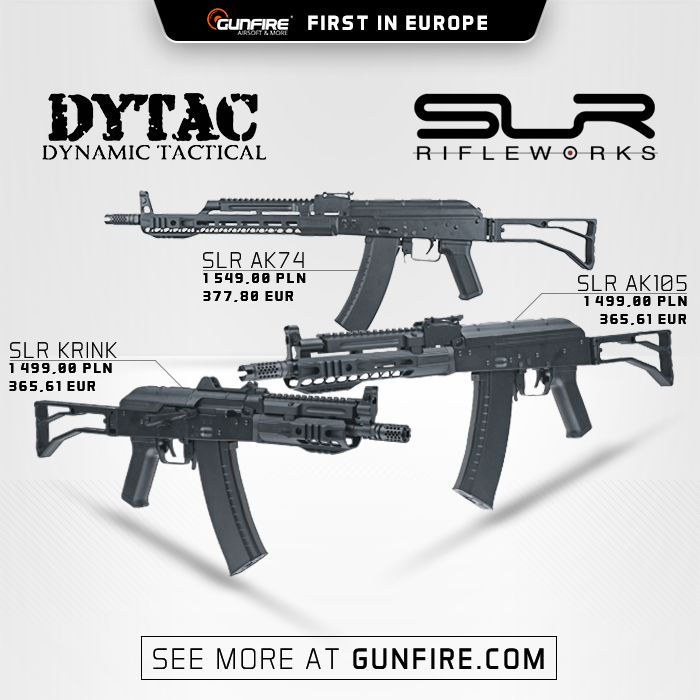 As the first airsoft store in Europe, we are introducing the new series of excellent SLR Airsoftworks replicas from Dytac! 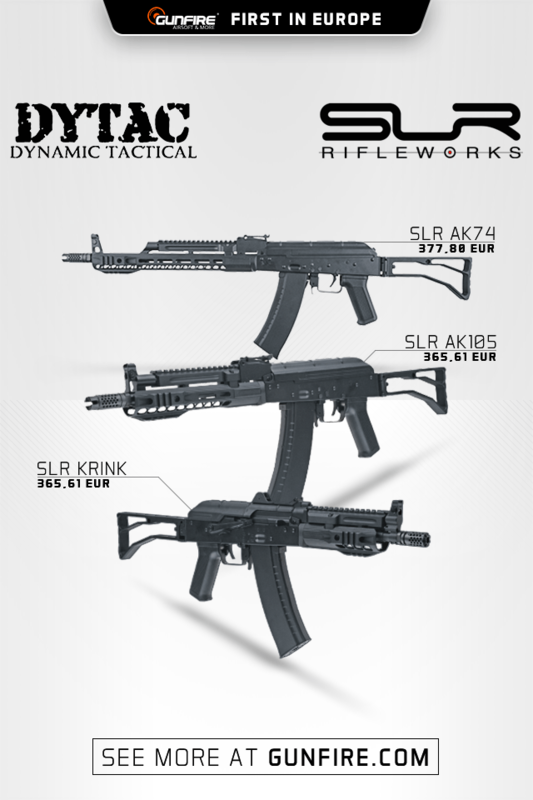 These AK carbines are equipped with a body made from pressed steel, a quick spring change system and light, aluminum handguard in the M-LOK standard. 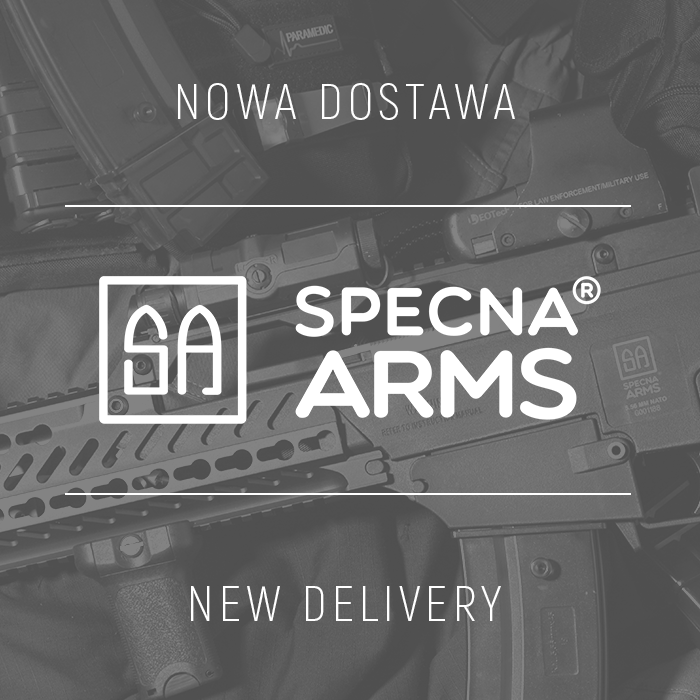 In the delivery of G-Series replicas you will find new models in tan color, configurations of stocks or KeyMod handguard. 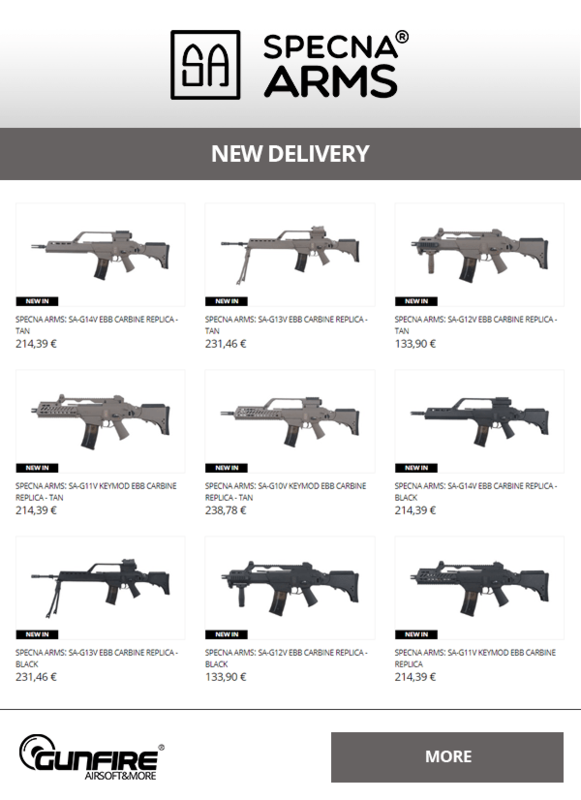 Replicas from this series are equipped with Enter & Convert ™, EBB systems and are based on a solid V3 LiPo Ready gearbox. 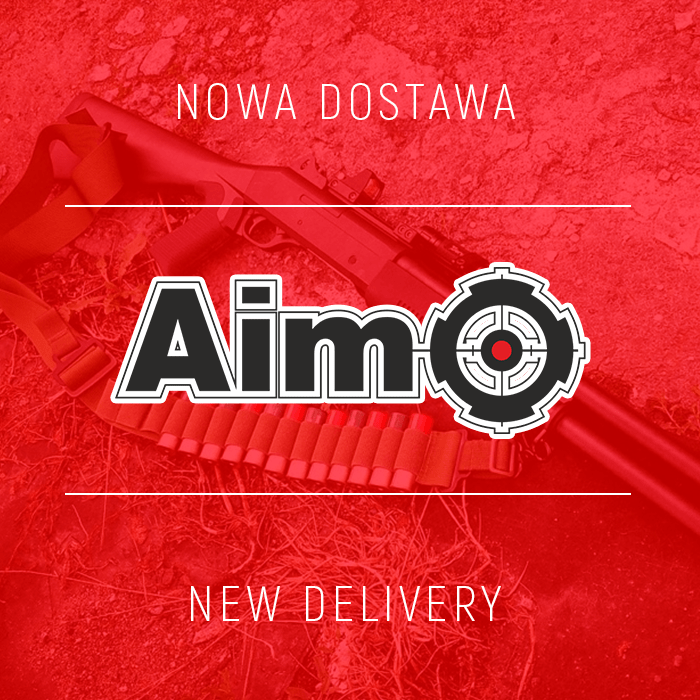 If you are looking for a high-quality sights or scopes for your replicas check the very attractive offer of Aim-O! 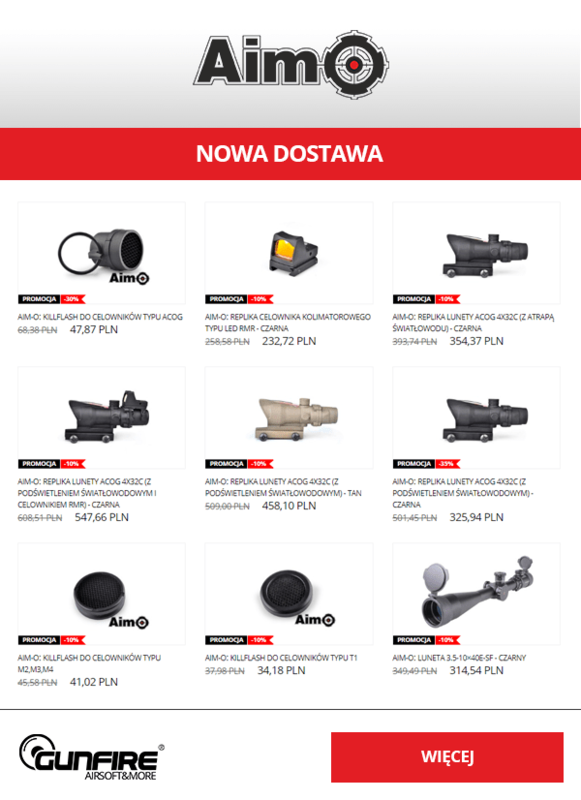 It consist of sights and scopes manufactured with exceptional attention to details. Looking for BBs? 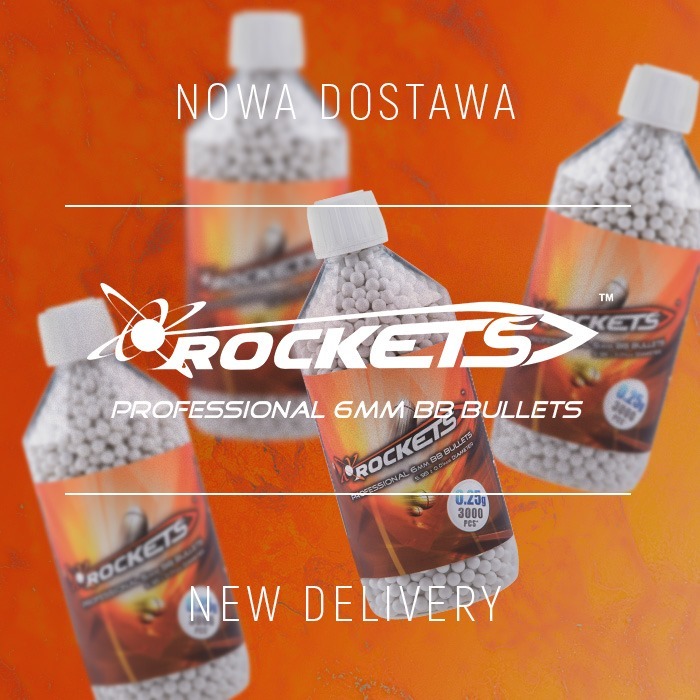 Check the new shipment from Rockets Professional! 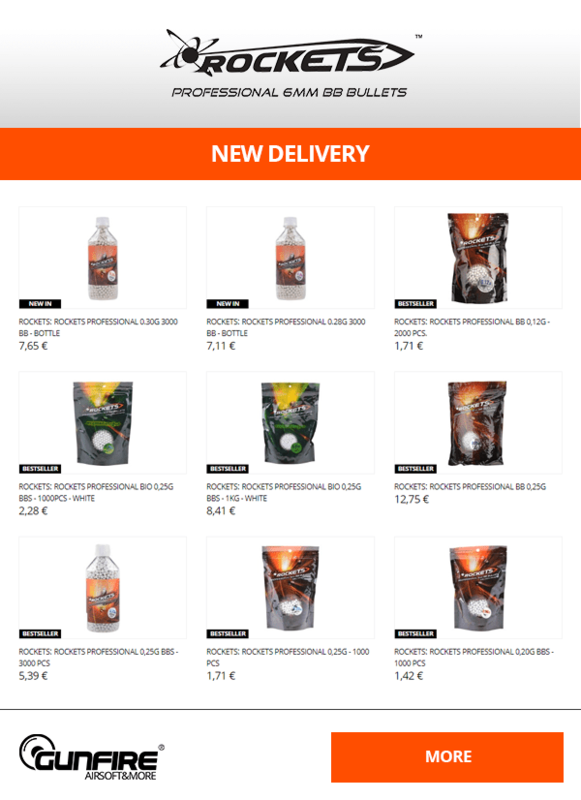 It includes a wide range of BBs types including BIO, as well as different package sizes from small ones (1000 pieces) to big bags (25KG). 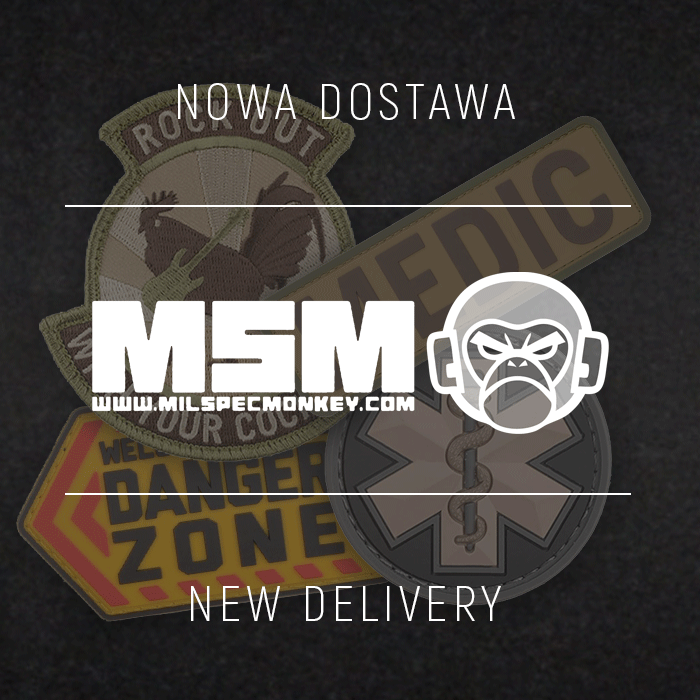 Check out the latest delivery of Mil-Spec Monkey patches! 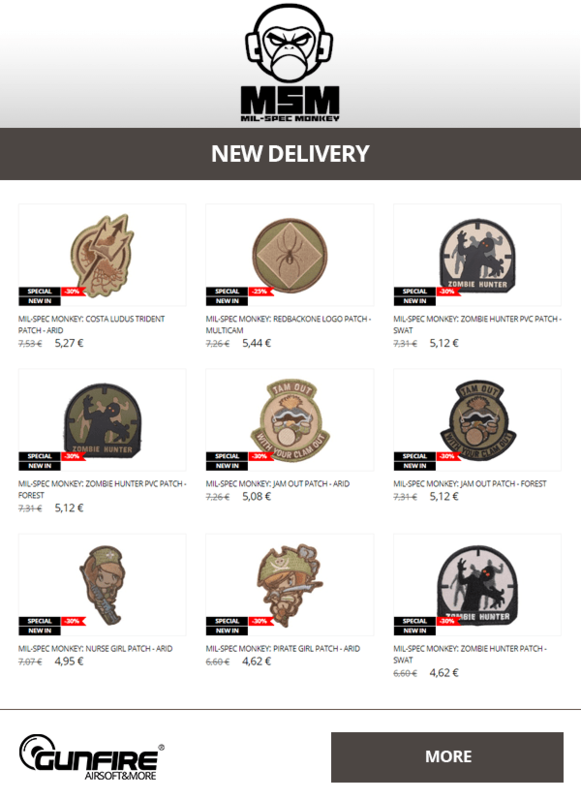 Among over 80 products you will find many new designs and multi-functional, tactical Multi-wraps.